Welcome to another edition of What's for Supper Sunday meal plan. We keep it simple here when it comes to family meals. We always use simple ingredients that do not take a lot of fuss to make an amazing meal. 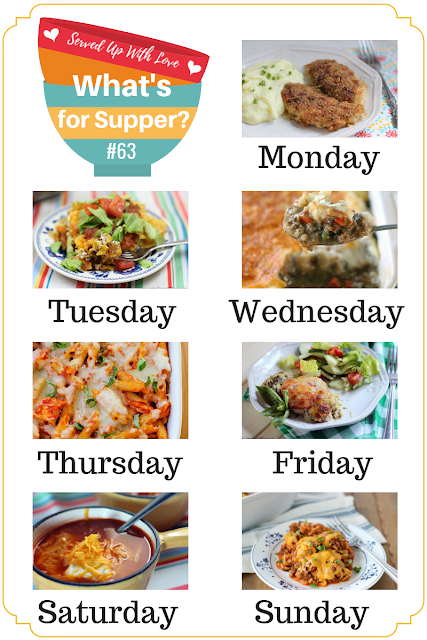 We have a few casserole recipes, crock pot, and a few easy chicken recipes in the mix this week. Stuffed Pepper Casserole is one of our favorites. Its like eating a stuffed pepper without all the work of stuffing the peppers.